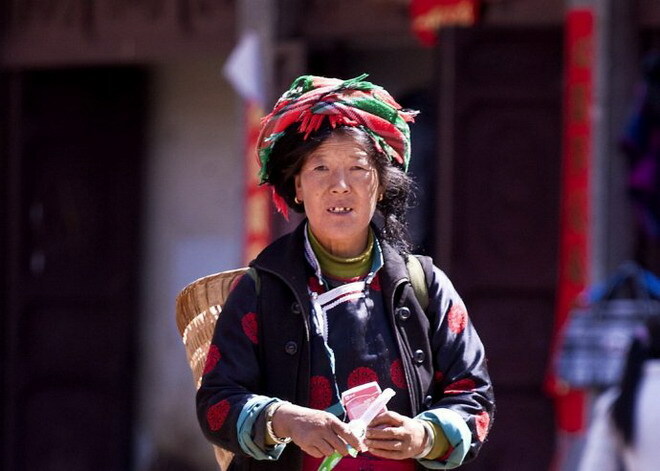 Women's land is located Lugu Lake town, Yanyuan County, Sichuan Province, living about 13,000 Mosuo people and Yi, Han, Naxi, and other seven kinds of ethnic groups, along the coast of Lugu Lake is home to more than 5000 Mosuo people, where is the place for Mosuo people living together. 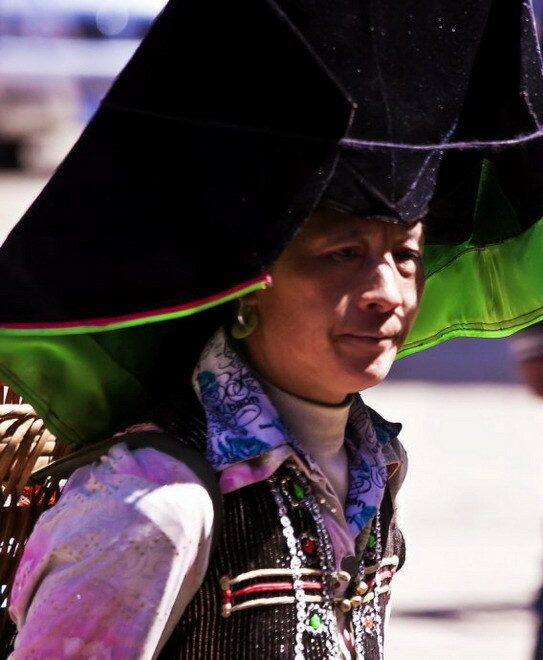 According to experts, Sichuan's Mosuo people are Mongolian. 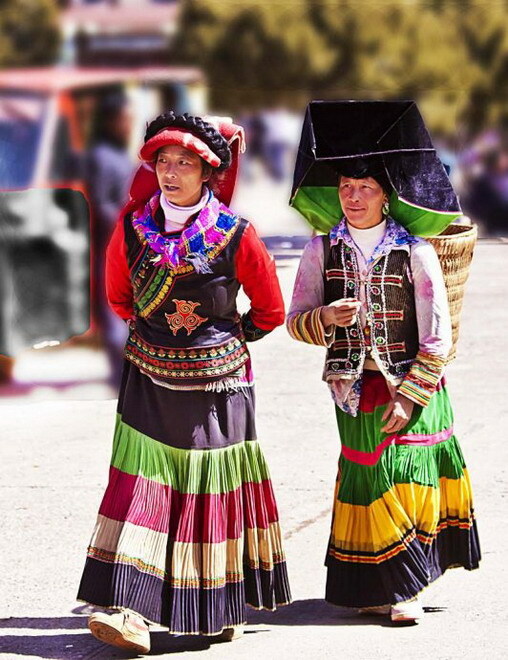 Since Mosuo people are governed through a matriarchic system, people also call the Lugu Lake women's land. 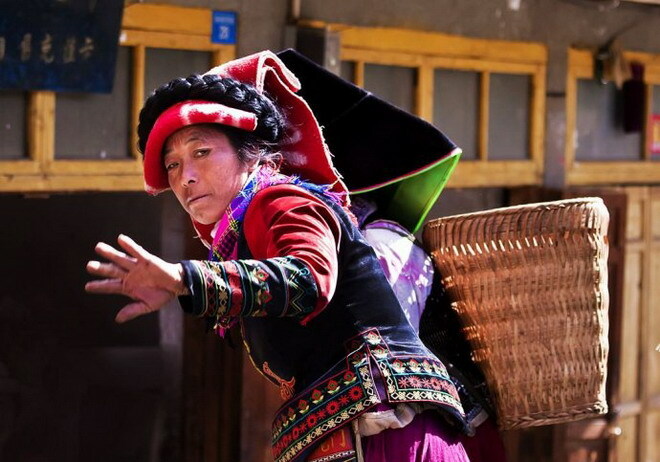 For Mosuo people, woman is the protagonist of the society, in charge of a family's economic, financial and sovereignty of etiquette, and their family members are matrilineal descent. 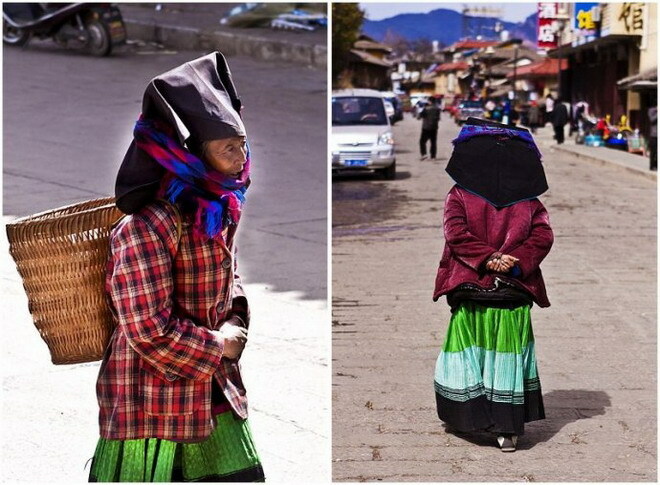 Mosuo people implement the institution of walking marriage, which is the men not to marry, and women do not marry. Both man and woman can have sexual relations with many heterosexual in his/her life time. Men don’t need to take any responsibility for women or even his children. Men don’t need to prepare generous gifts on the marriage night, only need a bag of pine nut and a hat. Pine nut is used to deal with the woman's dog, while the hat is used to show other men that this woman is already have lover. 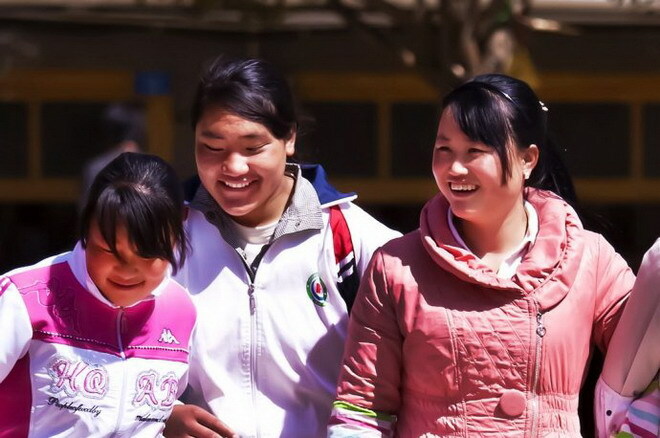 Before getting marriage, both men and women are equal access and mutual understanding. Only after two sides identified the feelings, the man can enter into the woman's greenhouse. They usually enter into the woman’s greenhouse in the deep night, and leave the house before dawn the next day. After some time, men and women have feelings with each other, especially after having baby, the family of the woman endorse the man. The man also can be come and go publicly of the woman's house. The most important thing for walking marriage is that I wish and you love. 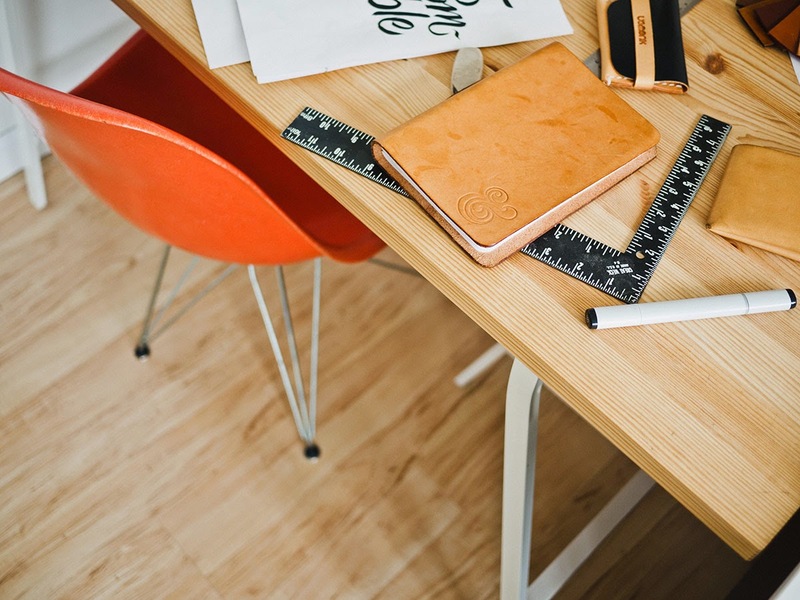 Before the real ending of a relationship, the lover of go marriage is relatively specific. 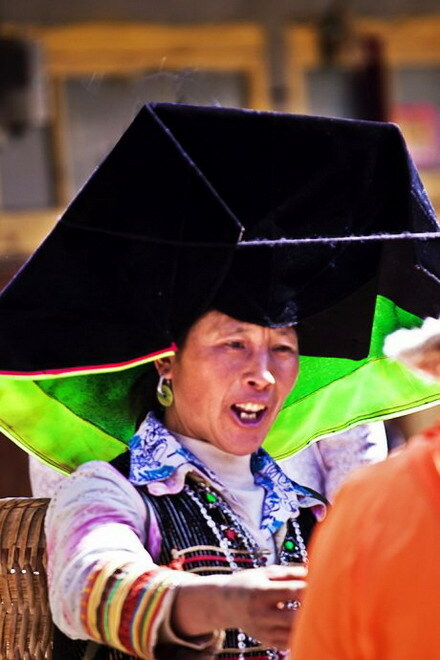 Wearing black square cap is the notable feature of traditional costumes for Mosuo women. 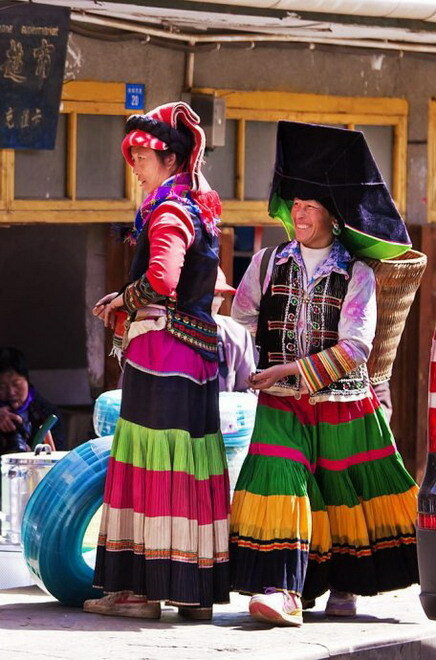 Yi women clothing, the most obvious difference is the different headgear. 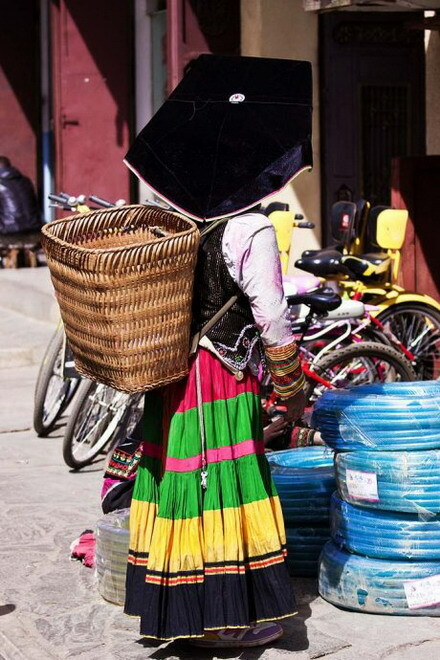 Mosuo women are very industrious. 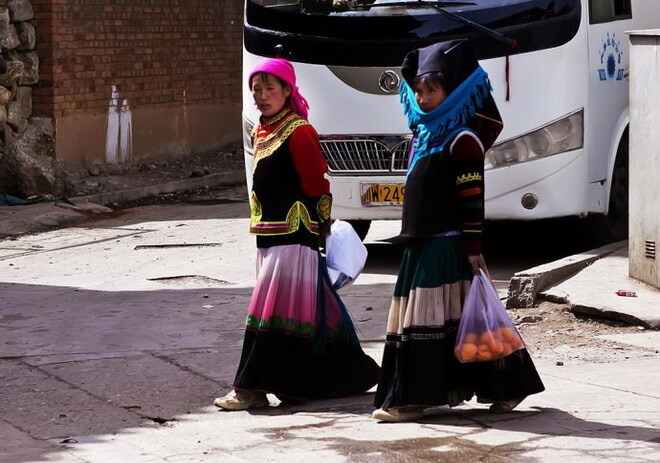 When going out, they usually carry a basket as the city woman to take the handbag. 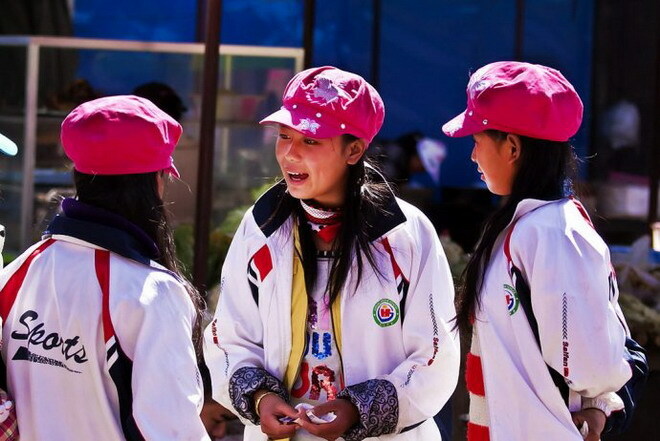 Mosuo people get along well with Yi people. 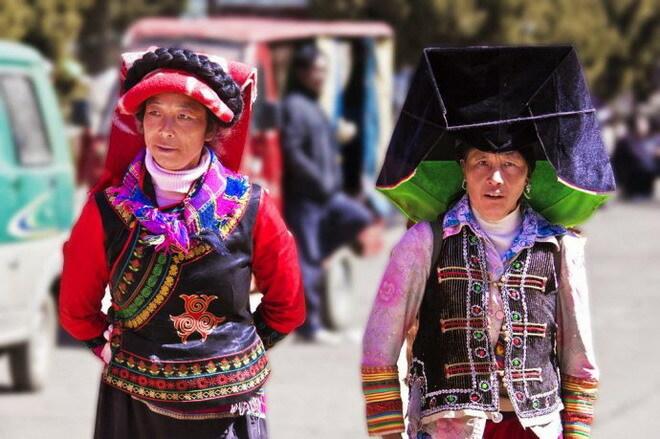 Dresses of Mosuo people and Yi people are almost the same, the main difference on the headdress. 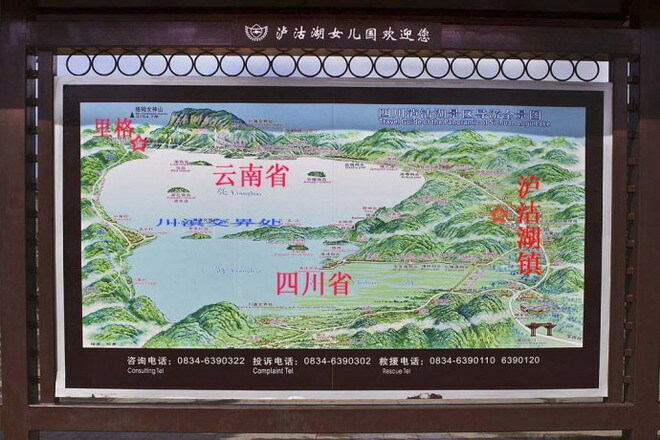 Lugu Lake tour guide map: Lugu Lake town is in the east side of Lugu Lake, and is the largest village in the Lugu Lake. 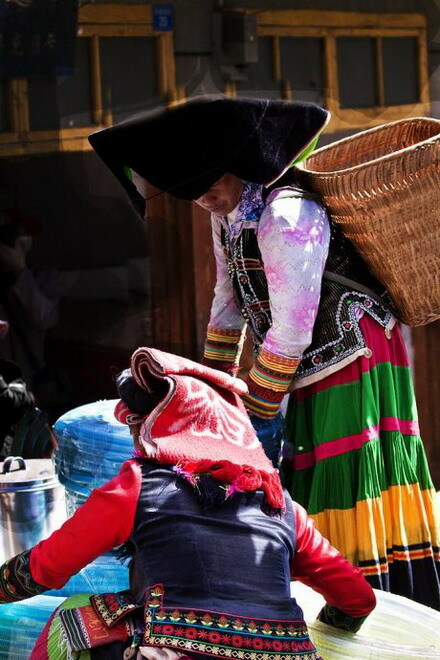 Mosuo woman is purchasing the agricultural materials. Such work is done by a woman, rare men to purchase this. The woman in the women's land is very hard, but also very pleased. 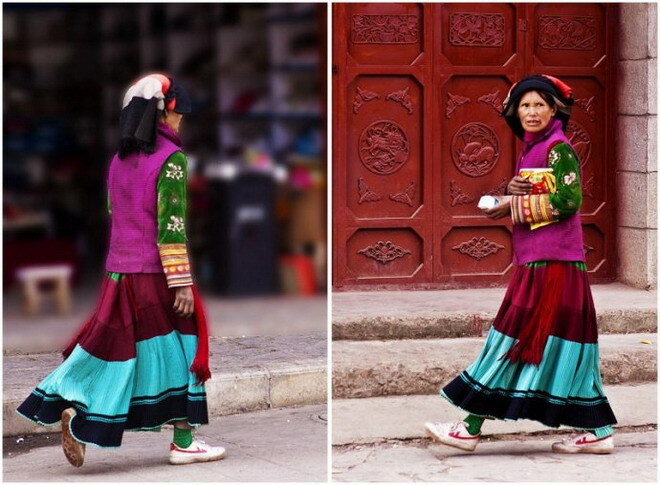 Yi woman walking strode, very capable. 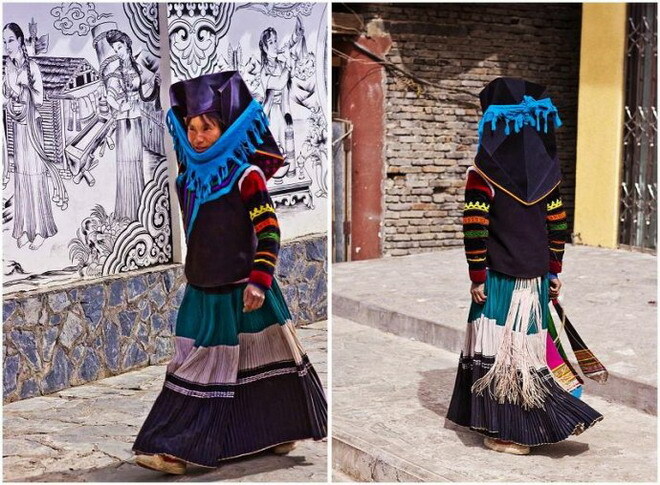 The Mosuo women who do not wear the national costume in the village, the child solely responsible for by a woman. 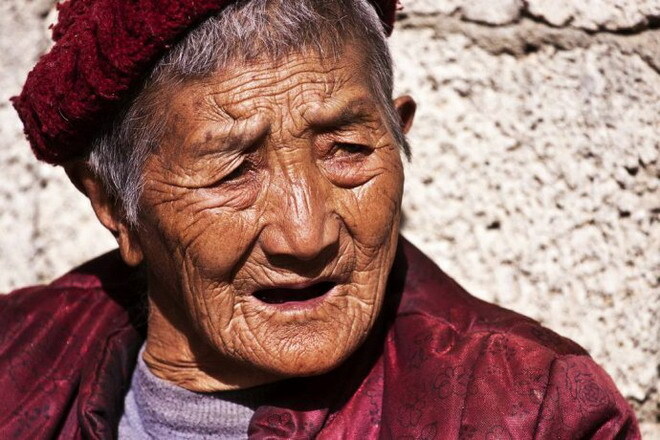 This old Mosuo lady has more than 90-year-old. 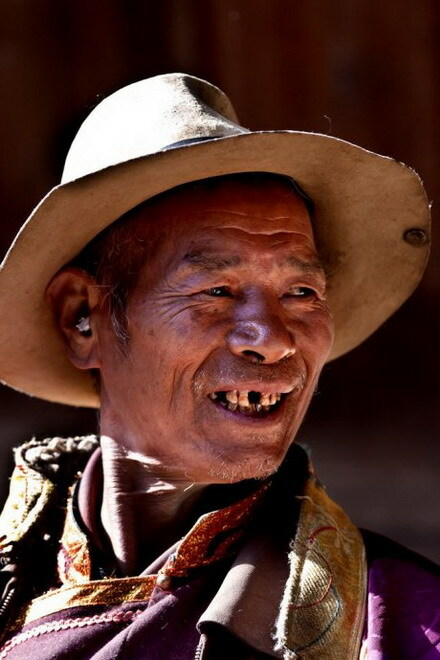 The elder Mosuo man in the village is somewhat lonely without accompanied by his wife and children. 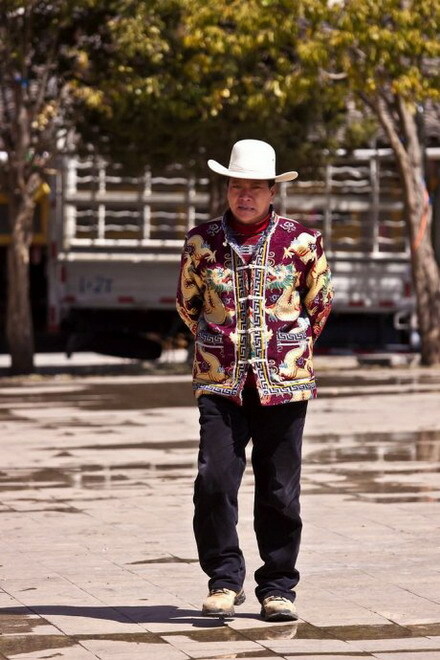 The Mosuo man is less busy. 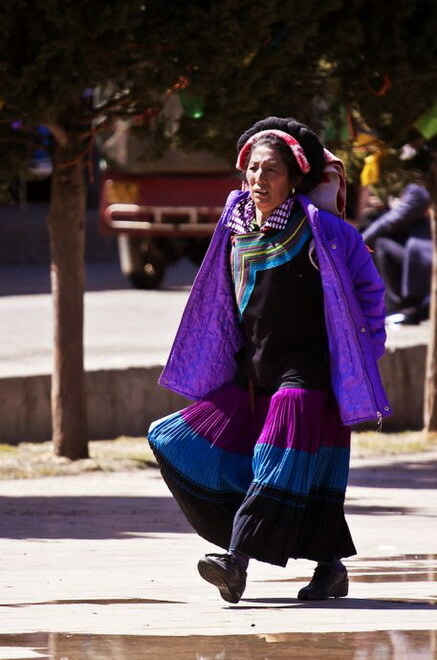 A new generation of Mosuo women quietly change, dress is just as the ones in the city, looks confident. School students are very happy. 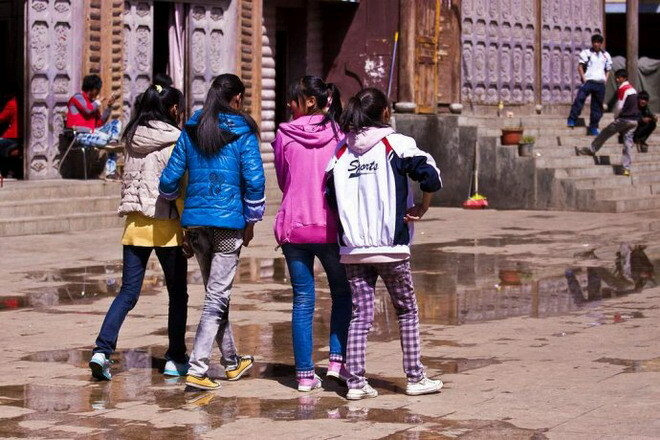 Several young girls of Mosuo walk by me. 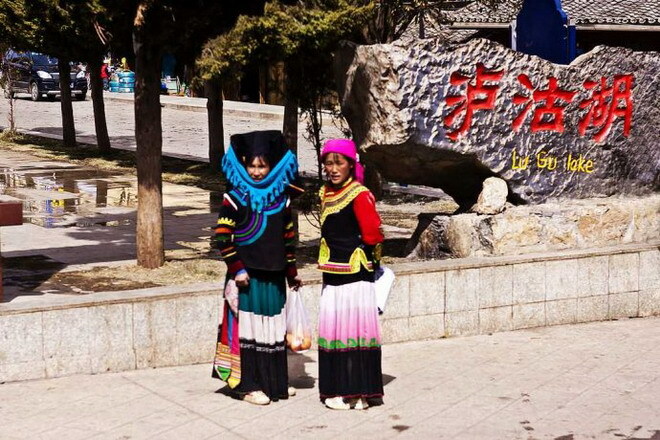 Such Mosuo girls would still wear their national costumes when grow up? 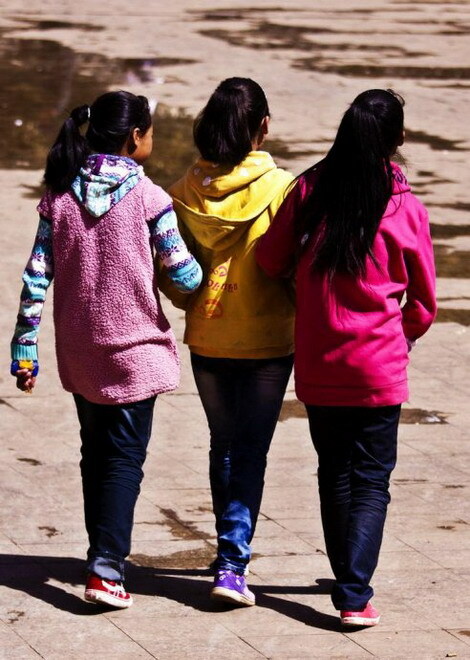 Will the “walking marriage” be passed down to their next generations?